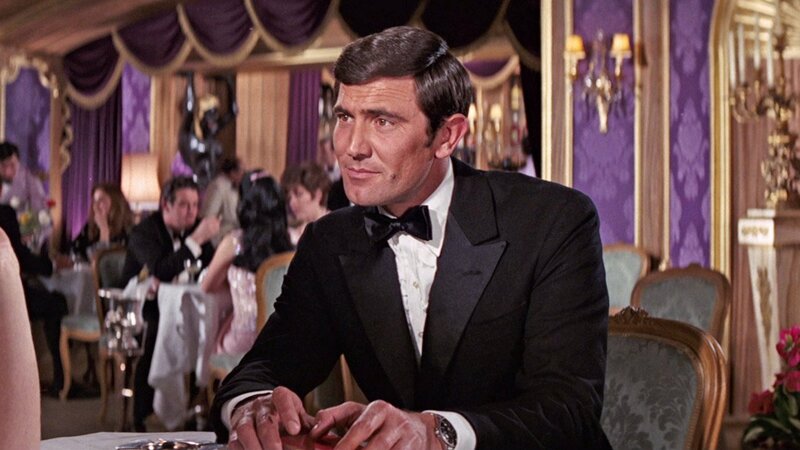 September 5th was George Lazenby’s 73rd birthday. In honour of that let’s look Lazenby’s peak-lapel dinner suit made by Dimi Major. 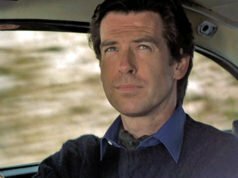 The dark, single-breasted, peak-lapel dinner suit is Lindy Hemming’s preference for James Bond, and that’s what she always dressed Pierce Brosnan and Daniel Craig in for the five films she worked on. 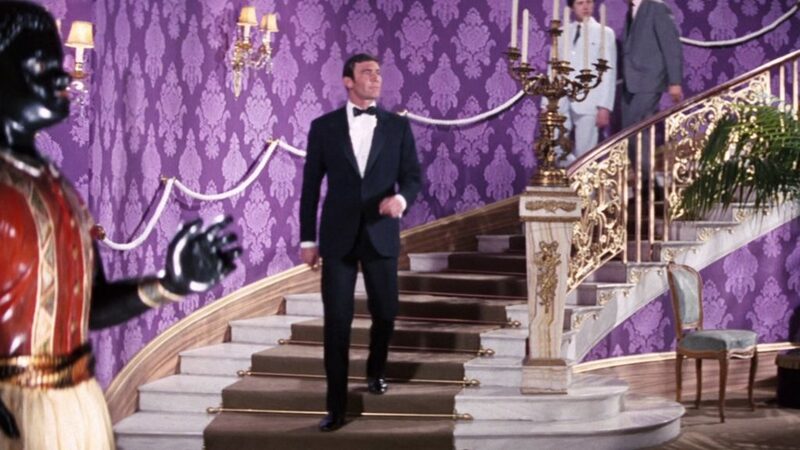 But before GoldenEye, On Her Majesty’s Secret Service was the only time Bond wore this style. Otherwise, his peak-lapel had all either been double-breasted or white, or both. Lazenby’s dinner suit is probably midnight blue, and that’s practically confirmed by the dinner jacket’s dark blue lining. The dinner jacket naturally buttons one, and it has a clean chest, soft shoulders and is fitted through the waist. The peaked lapels are faced in midnight blue satin silk, and the lapels are cut so that there is a small notch between the lapels and the collar. The jacket is cut a bit short, following late 60’s trends. The jacket is detailed with double vents, jetted pockets and three buttons on the cuffs, and the buttons on the jacket are covered in midnight blue satin silk. The trousers have a darted front, a midnight blue satin silk stripe down each leg, button side-adjusters and a lower-than-traditional rise. The overall cut of this dinner suit is very similar to what Daniel Craig will be wearing in Skyfall, though none of the fashionable aspects are taken to the extreme. The jacket is closely fitted without being so tight that is creases. The jacket is shorter to lengthen the legs, but not so short as to draw attention. And the trousers have a lower rise, but not so low that the shirt is exposed below the jacket’s button. Lazenby’s dinner suit is tastefully fashionable and would look just as fashionable today as it did 43 years ago. 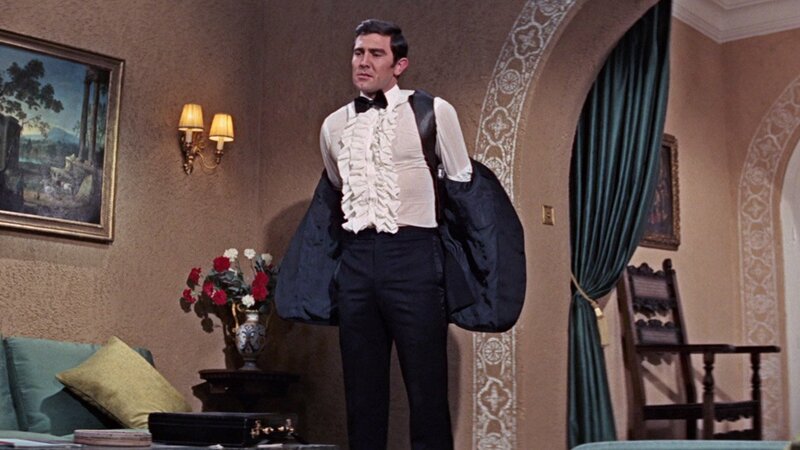 Lazenby wears the dinner suit three times in the film with two different ruffled-front shirts from Frank Foster. 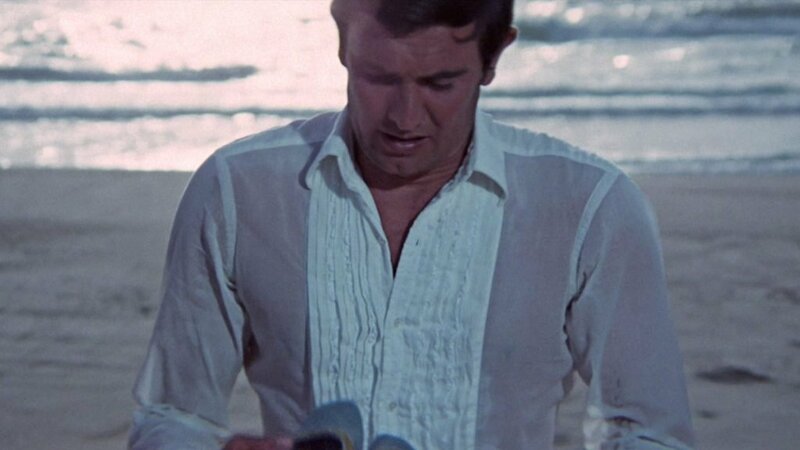 The first ruffled shirt that Lazenby wears when he rescues Tracy on the beach is the more tasteful of the two. The front of this shirt is a take on the traditional pleated front, with three ruffled strips on each side inserted between the pleats. This shirt is flashier than traditional shirts for black tie, but it’s more subtle than the second dress shirt that Bond wears. The second ruffled shirt, which Bond wears to the casino at the Hotel Palácio Estoril and later for walking around the gardens at the Palace of the Marquises of Fronteira, has two layers of densely ruffled cotton voile on either side of the placket. Both shirts are made of white cotton voile and have point collars and double cuffs. He wears a midnight blue satin silk thistle-shaped bow tie that matches the lapels. He follows Connery’s tradition of not wearing a waist-covering. His shoes are a modern take on black tie shoes: black patent leather plain-toe, side-gusset slip-ons. 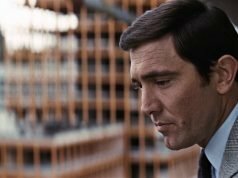 When we first see Lazenby, he is wearing a black C-crown trilby with a front pinch and narrow black grosgrain ribbon with his dinner suit, a slightly informal hat for black tie. Except for the flat-front pants, this is the platonic ideal of a dinner suit (Lazenby’s build doesn’t hurt, either). Pity the ruffled-front shirt is a bit over the top. There’s maybe a touch more flair from the waist than you’d probably find today. But this is one of my favourite James Bond dinner jackets. This is a great dinner suit for the most ahtletic of the Bonds. Aside from the ruffled short. That really has no excuse. But the suit is near-perfection and would look great today. I agree; this suit demonstrates that it’s possible to be fashionable and even a little “edgy” without being constricted in tight, uncomfortable looking clothes. As others have said, aside from the OTT shirt front, a lovely outfit. Am I right in thinking that image of him taking the jacket off suggests that this DJ is double vented? I remember it being double vented. Yes it is. I mentioned it in the article. Agree 100%. One thing I have really come to appreciate with Lazenby’s suits is that they are just fashion-forward enough to not be staid, but not too fashionable as in 1979, 1989, or likely 2012 (however much I may like the look) but also somehow remain timeless. That delicate balance differentiates Lazenby’s suits from Sinclair and Hayward on the one side, and Castle and Ford on the other. Brioni though is pretty close to this balance. Lazenby’s youth and model build help of course, as I don’t think any of the other Bonds had this good of a suit-friendly physique. I often wonder myself what would have happened to the series if Lazenby had returned for DAF. 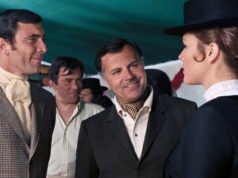 Bond movies probably would have taken a less comedic turn – but then again, a little Roger Moore comedy helped us survive the 1970’s…. Great post, as always. I know your blog only covers clothing, but what do you think of Lazenby’s cigarette case and lighter ? The same as Connery’s ?